A look at the importance of a balanced lifestyle throughout the teenage years and beyond with particular emphasis on physical activity and how this could be achieved. 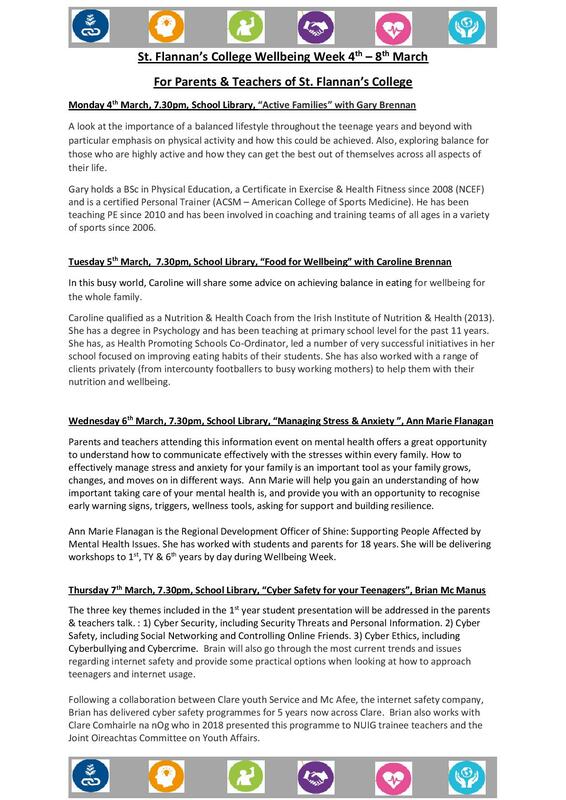 Student Activities for Wellbeing Week. The Framework for Junior Cycle (2015) provides for a new area of learning at junior cycle called Wellbeing. 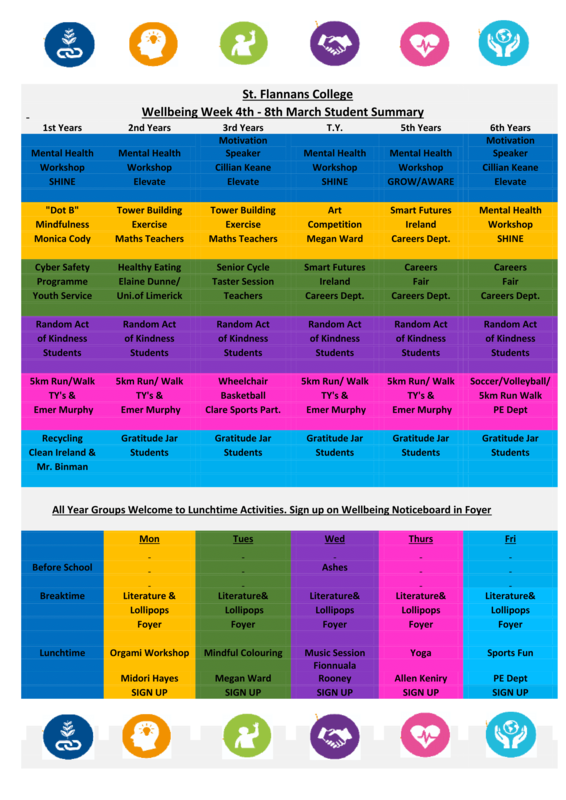 Wellbeing will cross the three years of junior cycle and build on substantial work already taking place in schools in support of students’ wellbeing. This area of learning will make the school’s culture and ethos and commitment to wellbeing visible to students. It will include learning opportunities to enhance the physical, mental, emotional and social wellbeing of students. It will enable students to build life skills and develop a strong sense of connectedness to their school and to their community. Our school also has a ‘Health Promoting Schools’ team. The information gathered in this survey will help to direct their efforts to develop an action plan for improvement of a specific area of health across the school community. 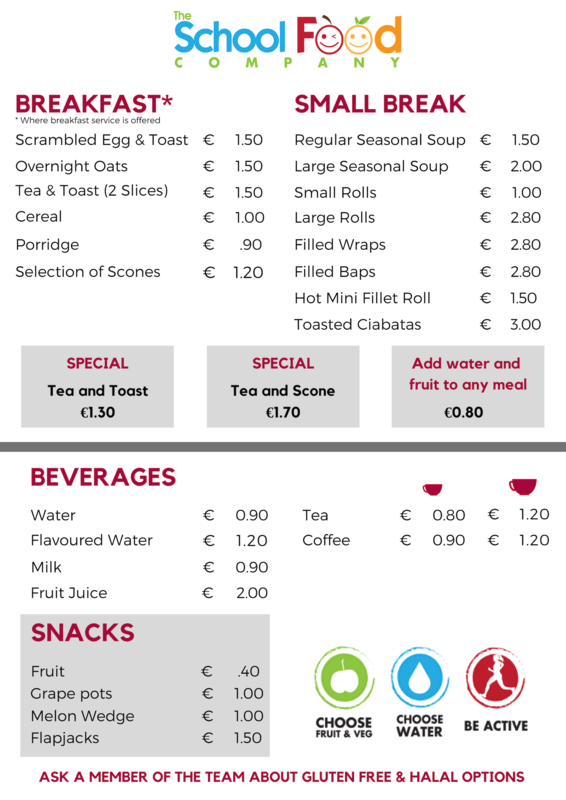 We are delighted to share our new canteen menu from ‘The School Food Company’ which has lot’s of healthy and nutritious options. 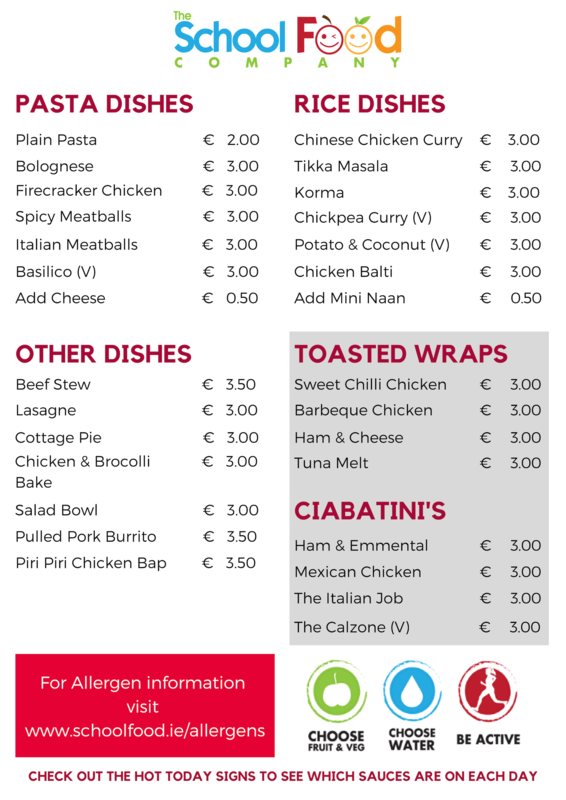 Also available are gluten free and halal options, just ask a member of the the team!